Neckties are made from beautiful and interesting fabrics and are often available for little to no money. This is a guide about making a purse from men's neckties. Cut old ties in equal lengths of your choice and sew together to make a neat purse. Line it with an inexpensive muslin and you're all set! 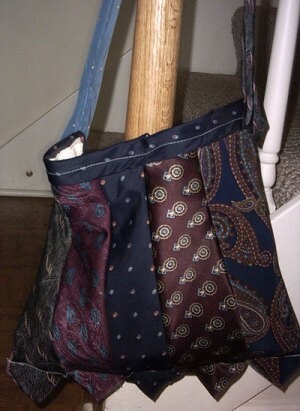 I am looking for a pattern for a purse made from one necktie. I'd like to get step by step directions and a photograph. Look around the site, I seem to recall the guide posting patterns and instructions for creative re-purposing of silk ties, including how to clean the ties. Try the search engine feature if her pattern index doesn't help you. You may want to try the alphabetical index on the home page of the whole site because there are several crafting guides on the site with tips on reusing ties. The DIY Fashion guide also lists reusing silk ties. I bookmarked a pattern that I really like & have been collecting ties to make, but I can't find it now. If I find it, I'll let you know. How can I make a cosmetic bag from silk ties? Maybe you can find it in a pattern book in fabric store, good luck. There are suggestions here on Thriftyfun about that, check the index or Google using old ties for purses and you get the links as well as many others uses and pattern ideas for old ties. 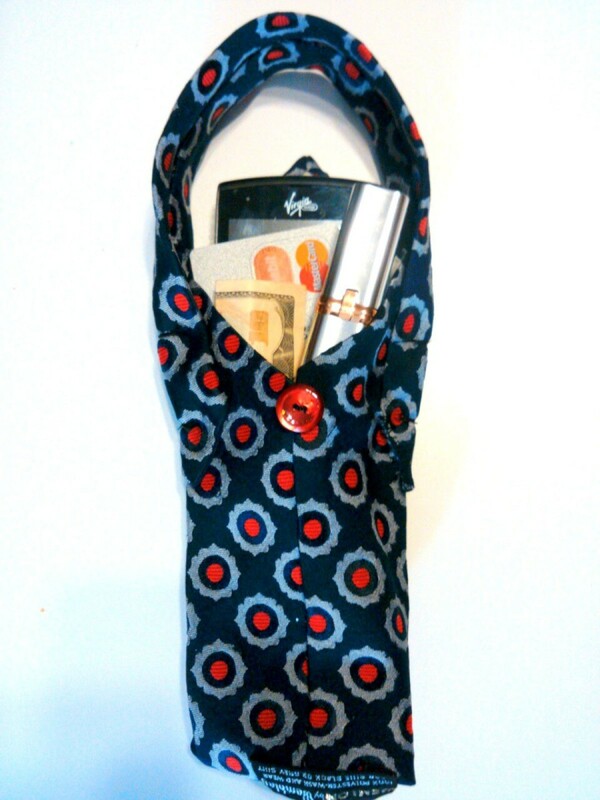 This is a guide about making a necktie purse. Neckties can be repurposed into a number of interesting craft project.